BP p.l.c. is one of the world’s leading international oil and gas companies, providing its customers with fuel for transportation, energy for heat and light, retail services and petrochemical products for everyday use. The BP group operates across 6 continents, and its products and services are available in more than 70 countries. BP employs 79,800 people (31 December 2015). The group operates 17 refineries (wholly or partly owned) and has 17,200 service stations worldwide.The company owns 5 key brands: BP, ARAL, Castrol, ampm and Wild Bean Café. The BP international headquarters is located in London. The fuel business is one of the most competitive markets. BP was one of the first to decide to run a loyalty program on such a scale, and after almost a year long tendering process Comarch was chosen as the IT platform provider (among 20 other vendors). The main goal was very simple – a single global IT platform for all countries. Comarch’s co-operation with BP began in 2002, when an agreement was signed for supplying BP Poland with a loyalty solution. As a result of the success of this project, in 2005, Comarch signed a global agreement with BP and from that moment implemented the Comarch Loyalty Management (CLM) solution in Germany, France, Spain, Portugal, the United Kingdom, Austria and the Netherlands. The Comarch Loyalty Management system is an advanced combination of business applications, allowing BP to construct a wide range of comprehensive and unique loyalty programs. The solution supports the management of BP programs, which operate in different models: multi-partner as well stand-alone. The system is integrated with one of the largest multi-partner loyalty programs known as “Payback”, which is present in Poland and Germany and “Nectar” in the United Kingdom. 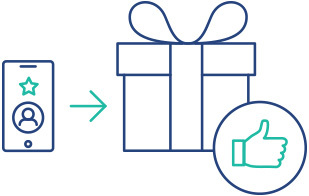 Comarch’s system interfaces with primary systems enabling customers to freely exchange points, after their conversion, for rewards available in the Payback and Nectar catalogue. Customer identification in the programs is based on the loyalty program’s magnetic cards as well as co-branded cards and key fobs. The system provided by Comarch met all of BP’s needs and requirements. Comarch delivered a different scope of functionalities for each BP country while maintaining the corporate standards, requirements and legal aspects of the local market at the same time. Additionally, each country implemented a unique loyalty program with individual operation models and separate loyalty programs creating independent promotions, redemption rules and marketing messages. The system modules implemented at BP included: Business Administration, Contact Center, Logistic Module, Business to Business Application and On-site Application (specifically developed only for the project at BP). Comarch Loyalty Management offers all the tools needed to build a successful loyalty program, created for both individual and business customers. A unique aspect of the project for BP is that it runs on a single IT platform which serves all their European programs. The system is hosted in the Comarch Data Center located in Krakow headquarters. BP also uses DRC services provided by the second Data Center in Warsaw. Comarch ot only provided a software solution but a wide range of professional services: consulting, development, customization, maintenance, account management and promotion creation services. Comarch provided integration with the POS system, 3rd party master loyalty systems, CRM, ERP systems, external analytical tool, SMS gateway, e-mail server and letter shop. An important element of the whole project was also to migrate data between the previous and the newly implemented systems. All the above mentioned implementations fully operate in the on-line mode." "We have built a truly trustful relationship with Comarch and I am pleased to see all local BP branches satisfied with this relationship. The work we have done together has fully satisfied our expectations and by this I mean on a global and local level. Comarch’s specialists have huge experience and are always full of innovative ideas on how to make the program even better and more attractive."